9.6 cu. ft. 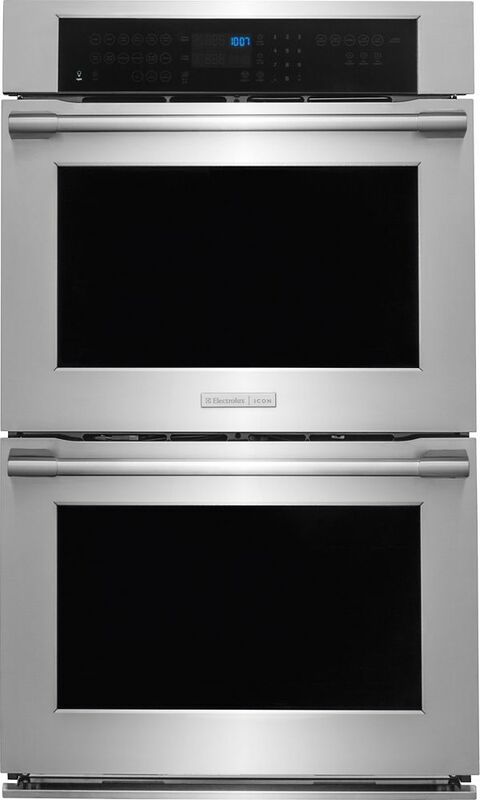 Double Wall Oven in Stainless Steel is rated 4.0 out of 5 by 2. Rated 5 out of 5 by King from Great double ovens Cooks evenly and looks great. Perfect for our home. Rated 3 out of 5 by kmgall from Looks nice I haven't had the chance to use it much or utilize many features, but it takes a very long time to preheat.